The first steps toward creating a memorial to Chief Mishicott, our village’s namesake, were taken at the end of January 2017. 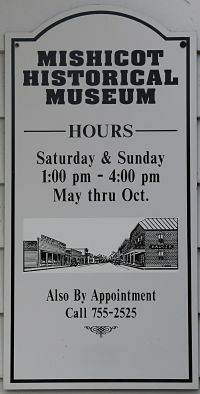 Members of the Village Board, Mishicot Area Growth and Improvement Committee, Riverwalk Committee, Historical Museum Committee, two award winning local artists, and friends of the community met to discuss the importance of honoring our history and remembering the Potawatomi Chief after which Mishicot is named. 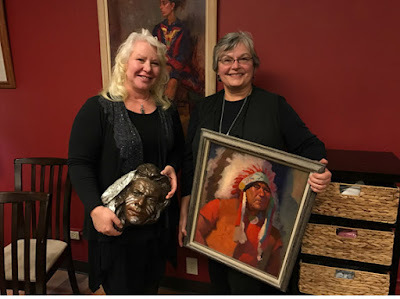 Local artist Bonnita Budysz and sculptor Bren Sibilsky discussed the process of designing and creating a permanent monument for the village that will last for generations to come. Much additional planning and input from the community will determine the final specifications and scope of the project. Future discussions will focus on gathering funding and grants for the sculpture. The goal of the monument is to capture the story of the Potawatomi people and their relationship with early settlers of the area. If you are interested in more information or wish to contribute to the project in any way, contact Jim Sustman at 920.755.3317 or Kim Rezek at 920.755.3411.